provide a steady home-grown food supply. 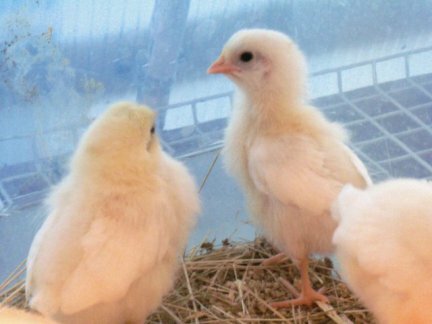 At a stock show in Rapid City, South Dakota, recently, Runnings Fleet & Farm was selling chicks for $2 each. The birds were virtually flying out the door. They have seen a dramatic rise in people buying them to raise in residential areas. In Boulder, Colorado, Isabel Sanchez is raising chickens in a mobile home park. Their coop takes up just a small corner of her lot. Every day they get a few hours to just run around the whole garden. The eggs laid by the chickens help Isabel and her husband to be able to raise their large family. The animals are relatively easy to care for and supplement their diet by eating insects from the garden. The Sanchezes are part of a pilot program so that the park's homeowners associations can determine if chicken ownership should be approved for other residents. Two of Isabel Sanchez's Chicks (Photo Used by Permission)If you are thinking of adding chickens to your plans for the future, be sure to check on the laws in your area before you shop. In some urban and residential areas the raising of livestock is not allowed. Many homeowners associations also ban animals other than cats and dogs. In Boulder residents are allowed to raise chickens, but roosters are not allowed within the city. It is also important to make sure that keeping chickens is a good fit for your personality and your lifestyle. For example, it you travel a lot, then chickens are not for you. If you are someone who puts off necessary duties then chickens are not for you. 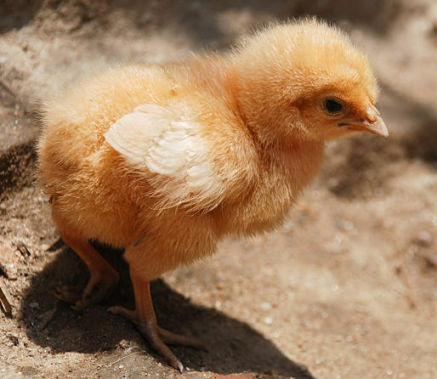 If you are someone who makes sure that everything is pretty much in order and taken care of promptly, you may be a good candidate for urban chicken farmer.